The main takeaway from informal presidential adviser Roger Stone's arraignment Tuesday is that the Russian collusion narrative has collapsed. If there were anything there, we'd know about it by now. The "process crimes" Stone is charged with, such as lying and witness tampering, are potentially serious. But he was not charged with facilitating Trump campaign collusion with Russian hackers, and the indictment itself gives little reason to believe there ever were any. It was certainly not a crime for the Trump campaign to be interested in what WikiLeaks had on Hillary Clinton or other Democrats. WikiLeaks had established itself as a reliable - though notorious - source for purloined information. Weeks before WikiLeaks published the emails, Democrats had made public that their computer systems had been hacked, allegedly by Russian operatives, though WikiLeaks has denied that Moscow was its source. Regardless of where the emails came from, once WikiLeaks began to publish them, everyone in America wanted to know what was in them, no doubt especially the Trump team. Roger Stone was simply conducting his version of opposition research, albeit ineptly. 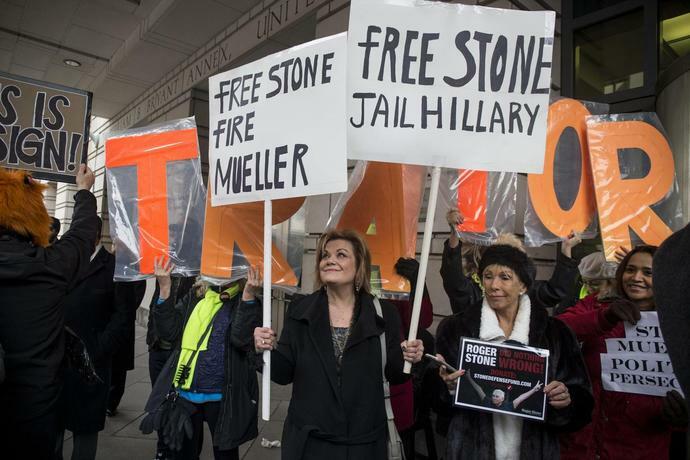 And the indictment notes that Stone was "claiming both publicly and privately" to be in contact with WikiLeaks during the 2016 campaign, so if he were trying to keep his activities a secret he was doing a poor job. The collusion story was a speculative proposition from the start. It apparently originated with former CIA Director John Brennan, who testified to Congress about his concerns that Russian agents might try to suborn members of the Trump team during the 2016 campaign, based on tips from foreign intelligence services. But rather than warning a major-party presidential candidate that he was a target of a foreign influence operation - which you would expect from a supposedly nonpartisan career intelligence official - Brennan established an interagency task force that targeted Trump's circle. And while Brennan has more recently called President Donald Trump's denial of collusion "hogwash," he still cannot produce evidence to support the charge. If the Trump administration would declassify documents related to the activities of Brennan's group during the campaign, the public might gain more insight into who was colluding against whom. It is no doubt true that Russia wanted to influence the 2016 election, but this is hardly news. It is amusing to those of us who studied Soviet disinformation and active measures techniques during the Cold War to be lectured on the Russian threat by newly minted liberal experts on Moscow's perfidy. Such political interference has been going on one way or another since the Comintern days of the 1920s. But there is still no evidence Trump was involved with it, not in 2016, not in 2015, not in 1987. Yes, there will always be those who twist circumstantial evidence into making Donald Trump a Manchurian Candidate, but we don't have to take such paranoid notions seriously. After two years of investigations - or three if you count CIA and FBI efforts in 2016 - the collusion story is as weak as ever. It has dwindled significantly over time. For example, what happened to Democratic Sen. Mark Warner's claim, later promoted by Hillary Clinton, that there were 1,000 Russian agents planting anti-Hillary fake news stories in key swing states in 2016? Or that Russians had delivered Wisconsin to Trump? Or that the election was decided by $100,000 in clumsily executed Facebook ads? Now we are left with Roger Stone wanting to see Hillary Clinton's emails. Well, who didn't?